Live life luxuriously with this amazing waterfront estate in southwest florida. This over-the-top modernized mediterranean show place with 11,000 ft. Of living w/separate guest house is located in gulf harbor yacht and country club, one of the premier gated communities on the west coast of florida. Spectacular deep water yacht club and full service country club amenities w/casual and formal dining rooms, pool side grill room, full service gym and spa, tennis community pool/spa, and private beach area are all here to enjoy and experience. This exquisite estate is a waterfront wonder and offers every imaginable amenity that one would only expect to find in luxury living. Indulge in incredible detail, quality, craftsmanship, and design. Features include spacious gathering rooms throughout, luxurious master retreat with spa like bath, media fun room and bar area, exercise and meditation rooms, resort style pool and outdoor entertainment rooms and so much more. Turn heads and turn moments into memories with this unmatchable property and lifestyle. Spectacular waterfront estate the white house landmark of the premier gulf harbour yacht & country club! This 14,000 under air and 18,000 under roof estate home is perfectly designed on two waterfront lots with unobstructed waterfront views from every room. Costructed thirteen feet above sea level with a double concrete stairwells down to your own private 225ft of natural sandy white beach. 7 bed 7 1/2baths, 4 car garage, chef's kitchen with gas and electric cook tops, 6 wet bars with refigeration, glass elevator, media room, steam room, custom rock waterfall pool with a beach like entrance and a 12 person spa, gazebo, media room, outside kitchen & bar, courtyard with unique water fountain. Separate 2 bed 1 bath guest house w/kitchen and laundry. An entertainers dream home! Over the top luxury w/ this exclusive sater designed swfl waterfront estate. Its all here to enjoy in this exciting five bedroom home with over 7000 ft. Of living sitting on 150 feet of frontage. Enjoy amazing water and sunset views from the outdoor entertainment areas, fantastic negative edge pool with spa, beautiful boat dock, outdoor kitchen, huge covered lanai w/fireplace, and separate outdoor covered gazebo area. Dramatic sophisticated elements are throughout this home. Soaring beam ceilings, incredible detail & craftsmanship, fantastic living areas are enjoyed all throughout, chefs kitchen, custom walk in wine cellar, billiards/media rooms, fireplace, elevator, library & den, exercise room, a very generous master retreat w/huge master walk-in closet and gorgeous bath area, full house generator, lutron/crestron electonic & audio system, extensive mill work/ ceiling & wall detail and precast concrete thru out and so much more. Explore a new level of luxury with this home located off majestic palm tree lined mcgregor blvd just steps from historic downtown fort myers, edison-ford winter estates, and more. Truly one of a kind. This is an opportunity for someone to own the the most unique parcel of waterfront property in sw florida. Over 740' of water frontage, approximately 400' on the caloosahatchee river and 350'+- of frontage on whiskey creek. This ultra prime property consists of almost 1. 65 acres. This is an irregular shaped property so dimensions are not accurate. A survey is recommended. New seawall was installed in 2013. Now is your chance to build your private estate. Robalo drive is located just off mcgregor blvd. Centrally located close to all the amenities in ft. Myers. Incredible opportunity to develop or build your own private estate! Rare and one a kind 4. 45 acre riverfront property featuring 300 feet of shoreline! Cleared and ready to build! Peaceful and serene, this property features a direct access canal, active palm tree farm, and waterfront views. Enter the property through a stunning gated entrance lined with royal palms. This unique property will make you feel like youre staying at a private tropical resort with unrivaled views of the caloosatchee river and direct gulf access for when you want to get out on the water. Property has been rezoned to rs-1 for development possibilities for up to 12 single family homes. Dont miss out on this unique opportunity to own one of the last riverfront developmental parcels! Located in the historic district of fort myers, near the famous edison-ford winter estates, this riverfront estate welcomes you with its stately oak canopied driveway & its strategic positioning on one acre. This gorgeous residence has been totally transformed from top to bottom w/incredible detail and quality. This 6 bedroom/5. 1 bath home features 3 large master suite areas and separate guest suite areas maximizing comfort and privacy. A spacious-well lit atmosphere thru out makes this home perfect for entertaining and or extended guest. The home features formal dining and living rms, family rm, a sunken bar which opens to the outdoor kitchen. A gourmet kitchen that offers 2 large bar areas, top of the line appliances including a professional gas cook top thats perfect for the chef in the family. French doors open to a covered patio & take full advantage of the view of the caloosahatchee river & sw florida's inviting sunsets. One of the largest fort myers caloosahatchee riverfront home sites with 1. 649 acre private sanctuary that includes a reflecting pond with fountain & mature landscaping. The home has panoramic views of the river & the gulf sunsets, cape coral bridge & even the downtown fort myers skyline can be seen from one of the widest points on the river. Architectural features include a great room with soaring 22' ceilings, spiral staircase, unusual circular dining room & media room, stone columns, open second story library/computer study with juliette balconies. The stunning master suite includes a sumptuous marble bathroom & boutique size master closet. The home boasts 3 more bedrooms, 3. 5 additional baths, a leisure room, gourmet kitchen, enormous laundry/hobby room, walk in pantry & air conditioned bonus room. A large spa and over-sized lap pool features splendid 270 degree river views. The home is located in the private gated community of harbour isle estates off iona road in popular south fort myers, near shopping, schools, churches and hospitals. Also has a second private gate entrance to the estate for added security and privacy. Have you always dreamed of living on the water? Imagine waking up in the morning to amazing waterfront views from your bedroom, walking out to the poolside table to enjoy breakfast, feeling the cool breeze and sunsets over the river in sunny southwest florida. This dream can be your new reality. Welcome to casa del rio or the house on the river. 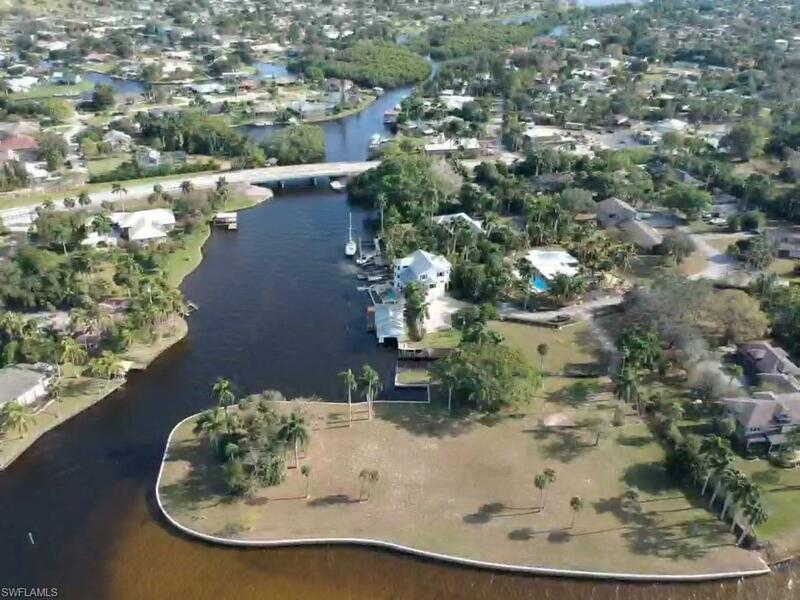 As you enter your magnificent riverfront estate, you will be captivated by this extraordinary home and double lot boasting 200+ feet on the caloosahatchee river. Enjoy a waterfront view while you cook in an oversized kitchen with ge monogram appliances. The large island, wine cooler, walk-in pantry and downstairs laundry/pool bath combo make hosting guests a breeze. Spend a day out on the water and park your toys at your private dock with built in jet-ski lifts, play tennis on your private clay tennis court, unwind in the saltwater pool and hot tub, relax in the gazebo, or sunbathe on the sequestered deck off the master bedroom. This quiet neighborhood is close to shopping, the downtown district, and many local beaches. With west facing river frontage and beautiful sunsets every night, this dreamy estate can become yours to call home. A spectacular deep water direct access waterfront residence built in 2011 offers all the comforts & amenities along w/amazing views of the bay & lake. Located in jonathan harbour, a luxury gated community minutes from world renowned sanibel island. A fantastic floor plan of contemporary elegance & comfort that present spectacular views of nature & water thru-out. The high-ceilinged living rm, adjoining dining rm, gourmet kitchen & family rm areas all spill out to a fantastic pool/spa/cabana & outdoor kitchen. A master suite that boasts all the amenities and sophistication youd expect. Additional bedroom suites, art studio & den all allow for plenty of lifestyle options. A media/game room tops things off for all to enjoy! Other features; awesome dock w/2 lifts, multiple balconies, elevator, huge storage rm & garage area for a car collection &more. Community amenities: heated pool, fitness ctr, tennis, & guest apartment. Awesome lifestyle located min from everything sw fl has to offer.